481 Personal Rope Bag Constructed of heavy duty water ..
481 Personal Rope Bag Constructed of heavy duty water resistant Cordura for years of rugged use. ..
YATES Vortex Rope & Gear Bag. w/Tarp(For 300' VLL Kits) ..
YATES Vortex Rope & Gear Bag. w/Tarp(For 300' VLL Kits) Designed exclusively for YATES by Sierra ..
466 Extra Small Rope Bag Constructed of heavy duty wat..
466 Extra Small Rope Bag Constructed of heavy duty water resistant Cordura for years of rugged us..
Standard Bucket Style Rope Bags Constructe..
Standard Bucket Style Rope Bags Constructed of heavy duty water resistant 1000 denier.. Double Ended Rope Bags Very useful in lo.. 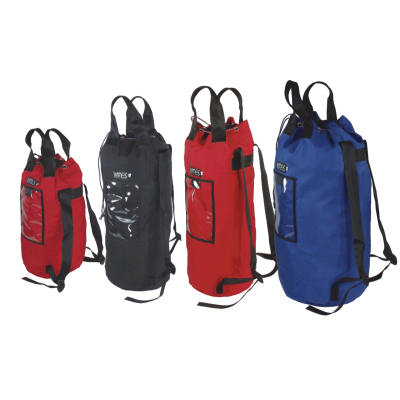 Double Ended Rope Bags Very useful in low angle rescue operations where limited res..
Bucket Style Rope Bags w/ Straps Constru..
Bucket Style Rope Bags w/ Straps Constructed of heavy duty water resistant 1000 den..